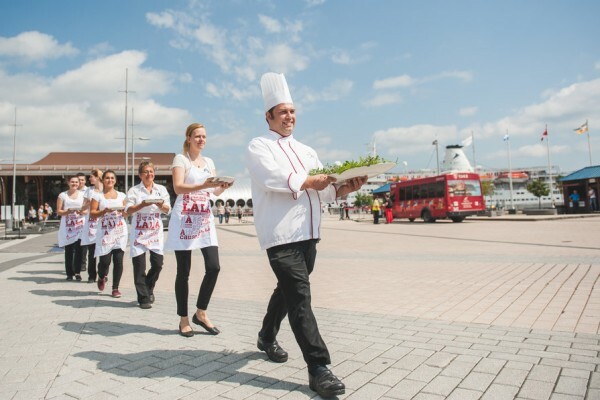 Saguenay has celebrated the Marco Polo’s 50th anniversary with 50 blueberry pies. The Marco Polo, formerly the Aleksandr Pushkin, owned and operated by Cruise & Maritime Voyages, docked in Saguenay on August 15. Local residents and visitors showed their support with a warm welcome of blueberry pies presented by fifty local individuals dressed in Saguenay's colors. The Marco Polo, carrying 848 passengers, mostly from Britain, and the 356 crew members, will dock once again in Saguenay on September 26. The ship was described as “no stranger” to the fjord's waters; during the 70’s while flying the Soviet flag, the Aleksandr Pushkin called at Baie des Ha! Ha! Over the past 50 years, it has sailed worldwide. Saguenay will accommodates 38 port visits over a 33-day period for the 2015 season. 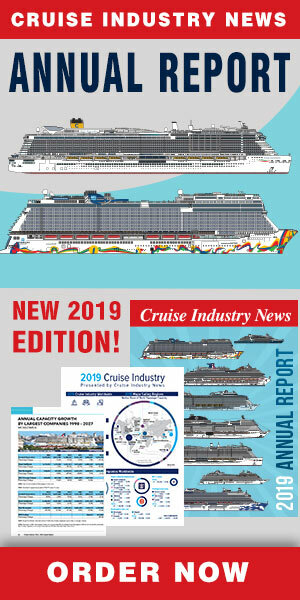 More than 50,000 passengers and crew members are expected.